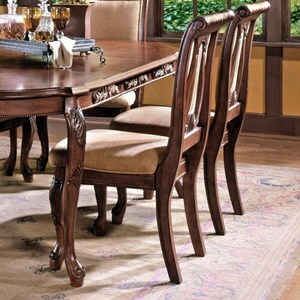 Enjoy elegant style with this traditional dining table. 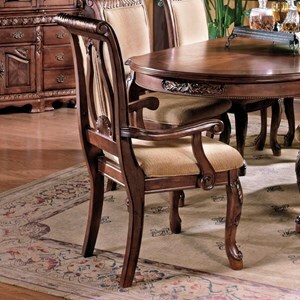 The spacious thick table surface features smooth, beveled edges and ornate wood carvings for a beautiful style. Extend table length to 84" with an 18" leaf to easily accommodate extra family, friends, or guests. Finished with thick, detailed cabriole legs, this dining table will be a magnificent home centerpiece. 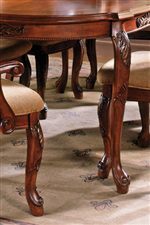 The Harmony Traditional Cabriole Leg Dining Table with 18" Leaf at Morris Home in the Dayton, Cincinnati, Columbus, Ohio, Northern Kentucky area. Product availability may vary. Contact us for the most current availability on this product. Leaves One 18" leaf extends table from 66" to 84". Case Construction Constructed of hardwood solids and sliced cherry veneers. 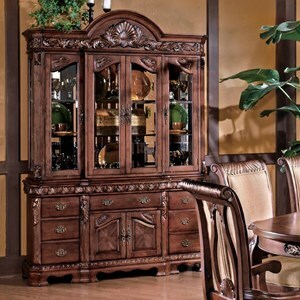 The Harmony collection is perfect for traditionally styled dining rooms. Offering elegant dining sets with coordinating buffet and hutch pieces, this collection effortlessly brings you luxurious style with convenient storage space. 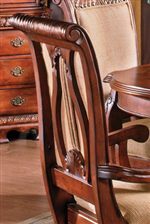 Detailed carvings, cabriole shaped wooden legs, metal hardware, and fabric upholstered seat dining chairs all combine for beautiful traditional style. Make a wonderful sophisticated statement in your dining room décor with the striking Harmony collection. 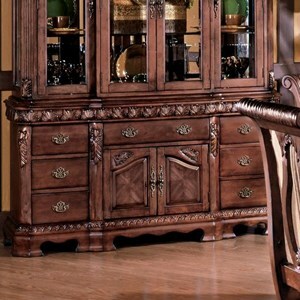 The Harmony collection is a great option if you are looking for Traditional furniture in the Dayton, Cincinnati, Columbus, Ohio, Northern Kentucky area. 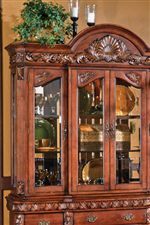 Browse other items in the Harmony collection from Morris Home in the Dayton, Cincinnati, Columbus, Ohio, Northern Kentucky area.